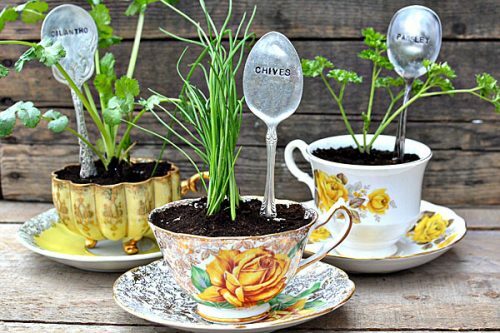 It’s gardening time! 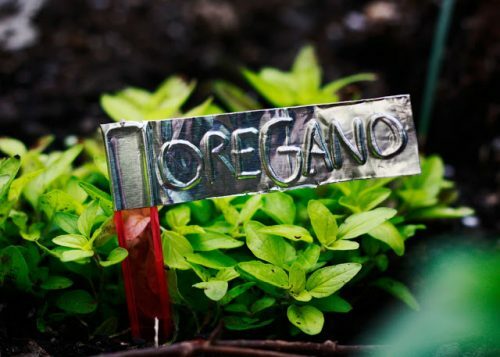 Have you ever planted your garden and then not remembered what was growing where? Me, too. Every year I make a garden map, but then somehow it gets displaced and I end up wondering what I have growing where until it sprouts. 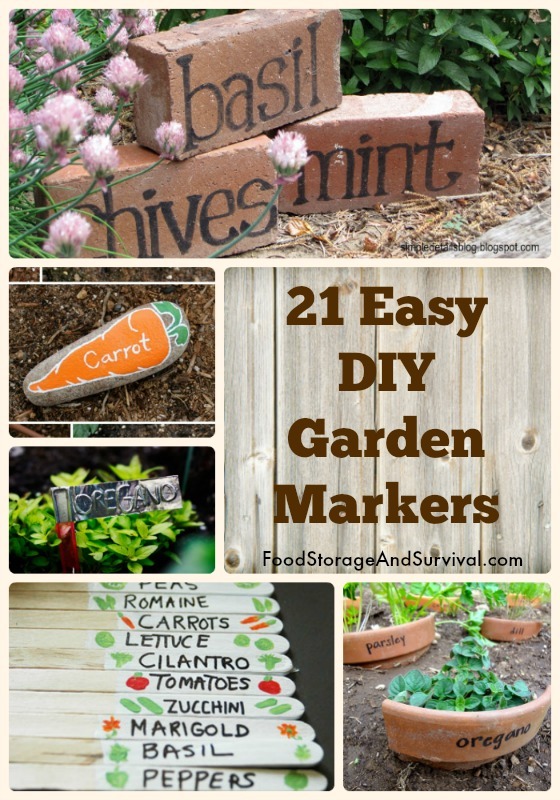 Enter garden markers. 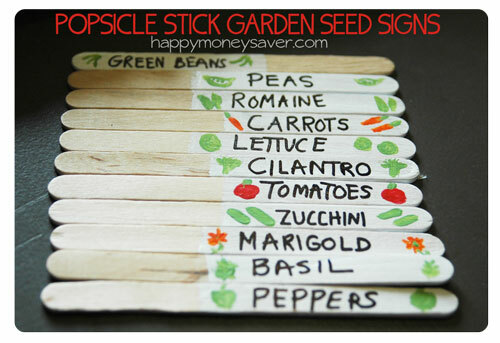 These can be simple or complex, plain or fancy, but they go in the garden to help you remember what you have growing. 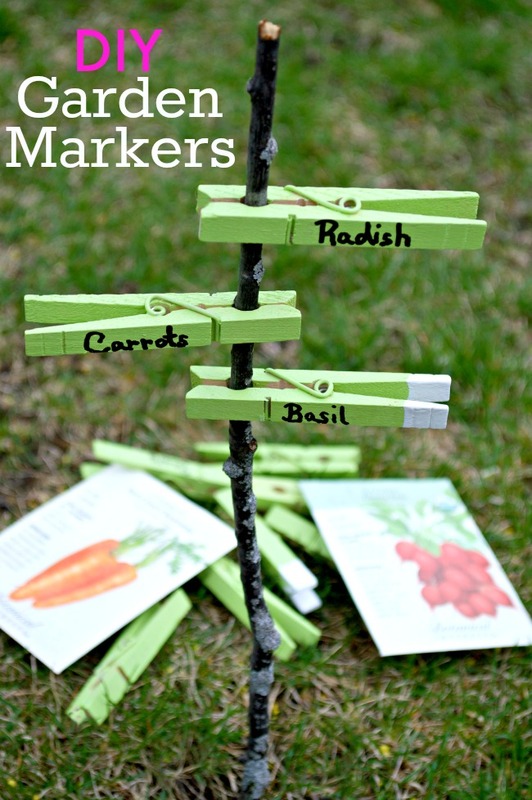 Having markers in the garden can also help your helpers find just the beans you sent them to pick for dinner. Plus, they can add character and make your garden a little nicer to look at. 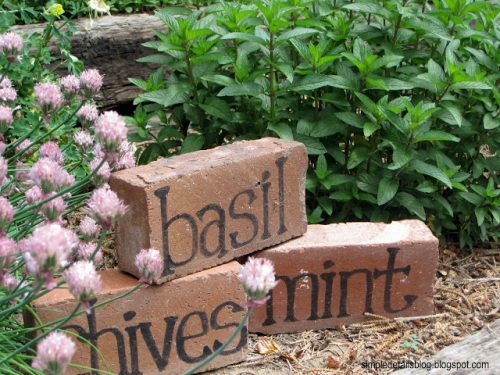 And if your garden is like mine, you can also add one for “weeds”. Haha! 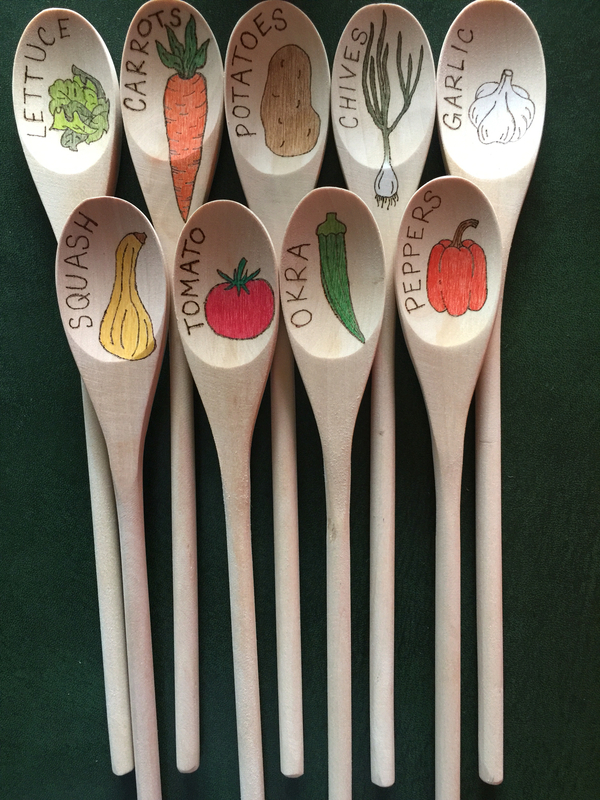 We are working in a brand new garden space this year, so I’ve been on the hunt for some way to mark the rows and came up with these 21 favorites. They’re all cute, but easy and cheap to make (all qualities I want in a garden marker)! Which is your favorite? Bricks. These aren’t going anywhere. Even in high wind zones. 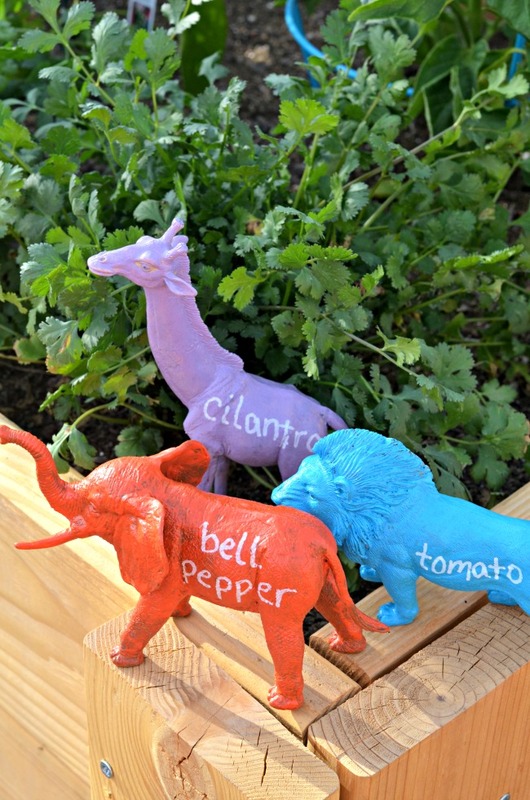 Use a permanent marker or paint to dress them up. So simple! Wooden Spoons. Hit up your dollar store for spoons, get this pack, or you could get used ones at a thrift store. Paint or permanent marker. The long end is perfect for stabbing into the dirt. 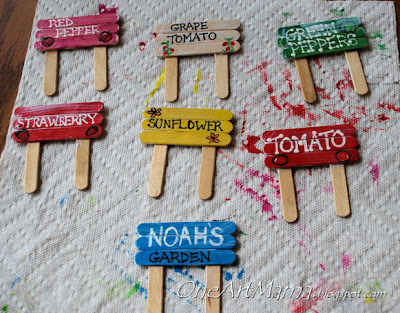 Small popsicle sticks. 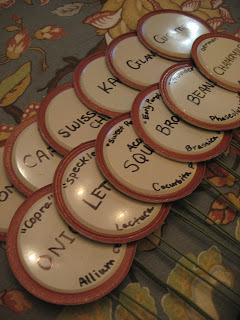 Put them together into these cute little signs. One of the smaller options, but perfect for little spaces. Again, paint or permanent marker would be great. 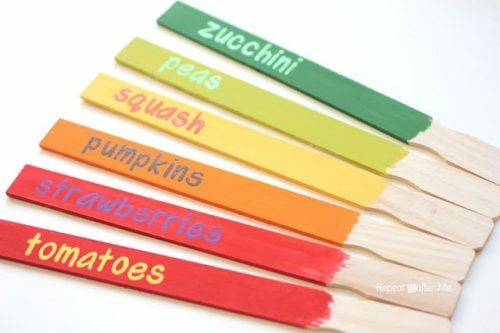 Get popsicle sticks here. 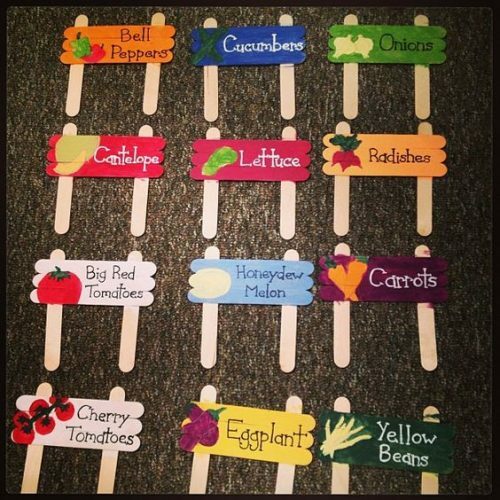 Large popsicle sticks. Using the bigger, tongue depressor sized sticks. Like the idea, but the sticks still aren’t big enough for you? 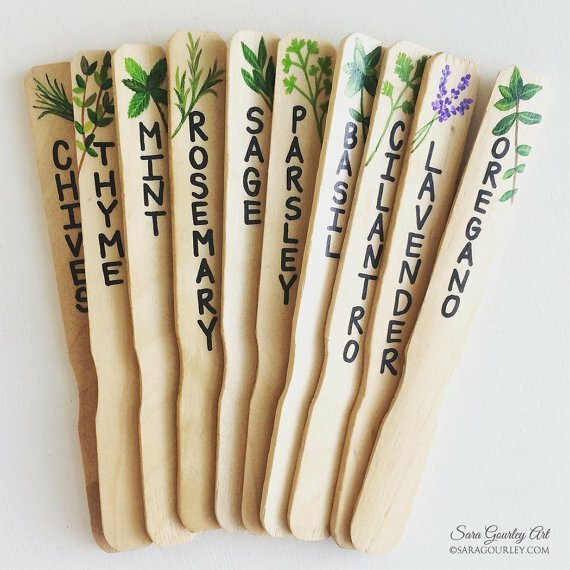 Try these made from paint stir sticks. You can get the stir sticks for cheap at the paint counter of your local hardware store, or unbranded ones here. 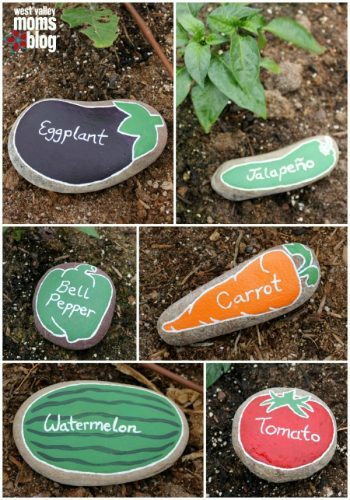 How about these super cute river rock markers? I love how they found rocks in the shapes of the vegetables! We certainly have plenty of rocks where I live. Again, all you need is some paint, maybe a black permanent marker, and you’re good to go. 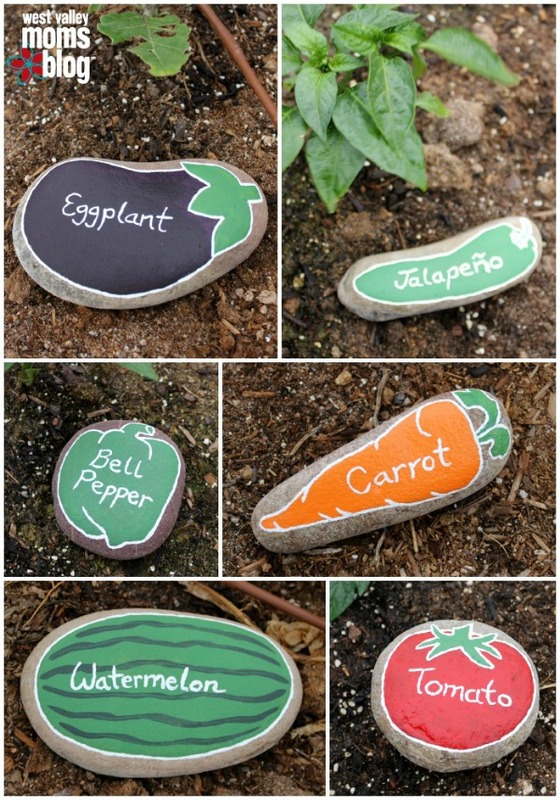 Make this easier by just putting the plant name on the rock. Don’t have rocks? You could use small ceramic tiles instead. Another thing I have a lot of is used canning lids! These canning lid garden markers are the perfect canning inspiration–that’s where a bunch of the garden is going anyway, right? 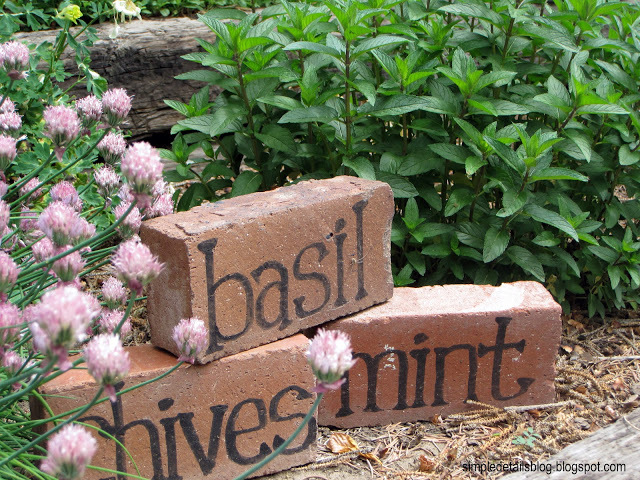 Tape is another quick and easy way to label your garden. Is there no end to the usefulness of duct tape? Lots of duct tape here. Or use the aluminum foil tape to make these. Sturdy, and the words won’t wash or rub off. Get this tape here. Another where the words aren’t going anywhere made with polymer clay. If you haven’t used polymer clay before, it is so easy to work with! Not messy, and the pieces are baked in your oven to dry them with no shrinkage. Here’s a fun twist on the paint stir sticks I showed you earlier–letter tile markers. 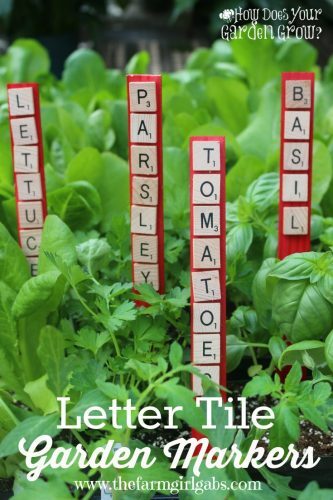 Hit up your local thrift store for used scrabble games, or get a pack of just the letter tiles here. 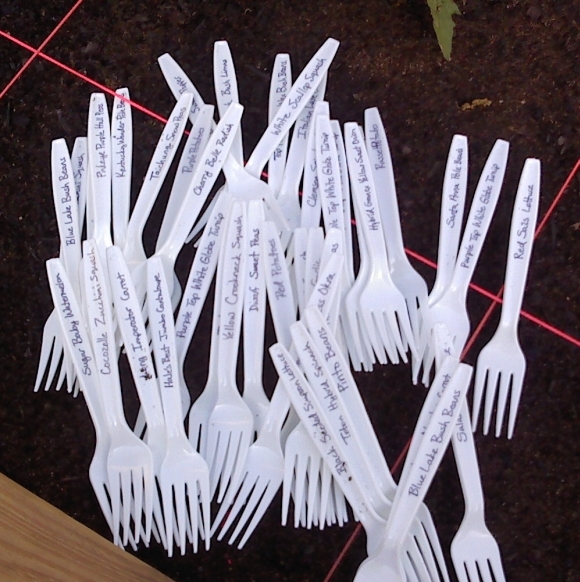 Make the markers from plastic cutlery–you’re growing the food to eat, right? Knives would also work well. So simple and cheap–just plastic cutlery and a permanent marker. Or use metal spoons to make these garden markers. Feeling a little craftier? 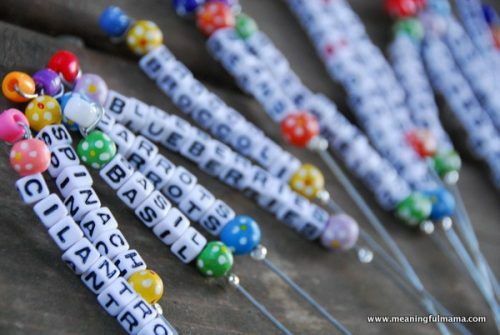 Maybe you want to try these markers made with letter beads. Or these that dress up the lid idea a little bit. This is an easy garden marker idea with clothespins. Could be glued to the stick for a more permanent marker, or left free to be more easily stored in the off season. Clothespins are cheap! 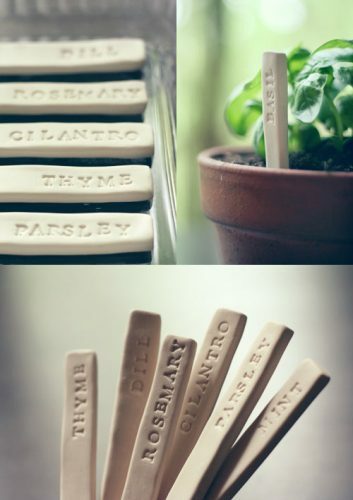 And how simple are these garden markers? 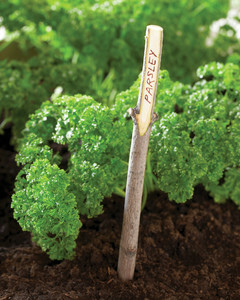 Give your garden the rustic natural look and all you need is twigs and a permanent marker. Not sure how these safari animal garden markers could keep from wandering around your garden if you have frequent children visiting, but they make it look like a little jungle and could be made with any type of plastic toy–dinosaurs, zoo animals, reptiles, whatever. Fun. 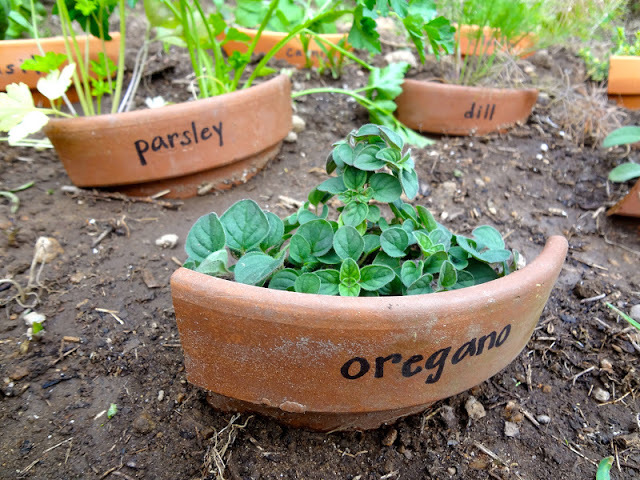 Recycle last year’s cracked pots into these easy plant markers. Don’t have a cracked pot? They’re easy enough to break. Check thrift stores or yard sales to pick them up cheaper than new. 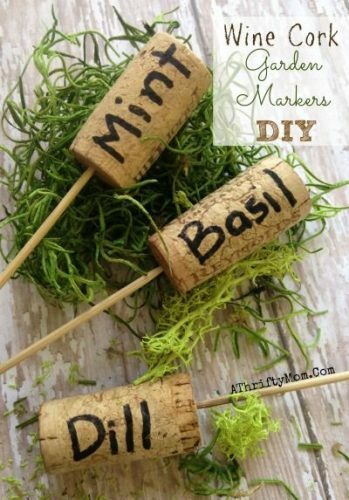 And finally, recycle your wine corks to mark your garden rows. Easy. 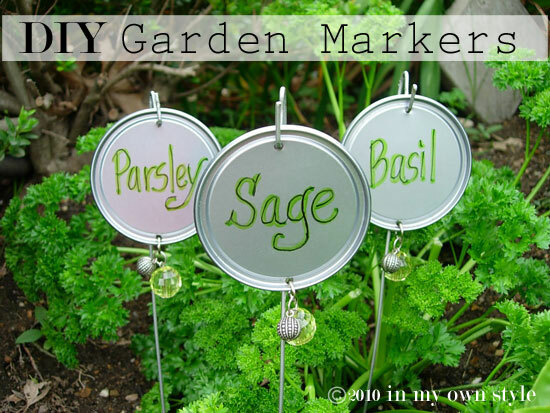 What do you use as garden markers? Share your favorite method in the comments!